In July the Enlightenment! 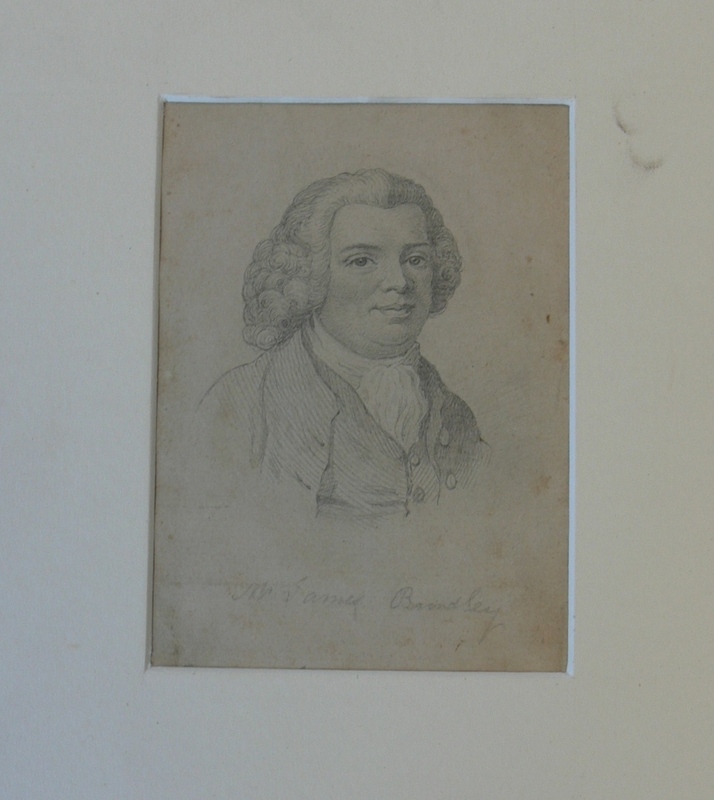 team bought this sketch of James Brindley from Bamfords Auction House in Derby. James Brindley (1716 – 1772) was a pioneering canal builder. During the eighteenth-century many leading manufacturors such as Wedgwood and visionaries such as Darwin started to dream of inland waterways. The duke of Bridegwater commissioned a canal from his colliery in Worsley to Manchester. Bridgewater employed Brindley as his surveyor and the canal was successfully completed two years later in 1761. Canal fever spread throughout the area and Wedgwood was involved in the creation of a ‘Grand Trunk’ canal linking the Trent and the Mersey. The canals motto pro patria populoque fluit (it flows for country and people) sums up their enthusiasm. Brindley was the engineer for the project and he became something of a national hero. The canal changed the area and significantly reduced the cost of transporting freight. This allowed cheaper products to come to the area meaning that more people could afford coal and bread. Almost all the members of the Lunar Society owned shares in canals. This sketch was drawn by Francis Parsons as a preparatory drawing for an engraving. Parsons also painted Brindley in oil, and this picture is at the National Portrait Gallery. James Brindey was born in Tunstead, near Buxton so it seems fitting that this acquisition will now reside at Buxton Museum and Art Gallery. James Asperne of 32 Cornhill, whose name appears below the drawing (under the frame) was, among other occupations, proprietor of the European Magazine & London Review, which in 1810 published an anonymous but informative ‘Memoir of James Brindly,[sic] esq. ’. Usefully, it is available on Google books. The memoir appears at pp 164-67 & 347-351; the engraved portrait of Brindley prefaces it on p 162. Thanks Victoria. We have had our Brindley sketch professionally photographed so if you want a better copy of the image then just contact Buxton Museum. Great apologies – I should have specified European Magazine & London Review Vol 58, July-December 1810. So sorry about the careless omission.